Lil Durk treats to his latest Young Chop-produced joint "Life Like This" feat. Jrock & South. 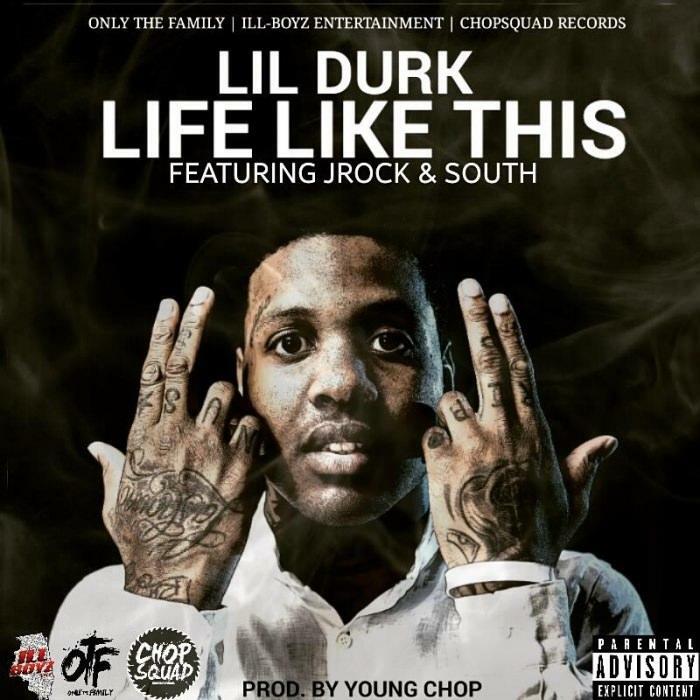 Chicago-based Ill Boyz Entertainment and DJ Louie V team up to drop off Lil Durk's latest Young Chop-produced joint "Life Like This" feat. Jrock & South. Young Chop is still killing the beat game and Lil Durk is still killing the hook game. They could collab with other big name artists but time and time again they choose to keep it local with lesser-known Chicago artists. Lil Durk's 24-date Remember My Name Tour kicks off on August 6. Check here to see if he's coming to a venue near you. Tune in to hear what life is like really like for Durk and his compatriots Jrock and South.